Whether you’re starting a business or a side hustle, you’ll no doubt enter a period where you’re in need of some extra motivation and oomph. Well, one of the best things to help get you back on track and motivate you is reading some inspirational business quotes. That’s where we’ve come in handy. 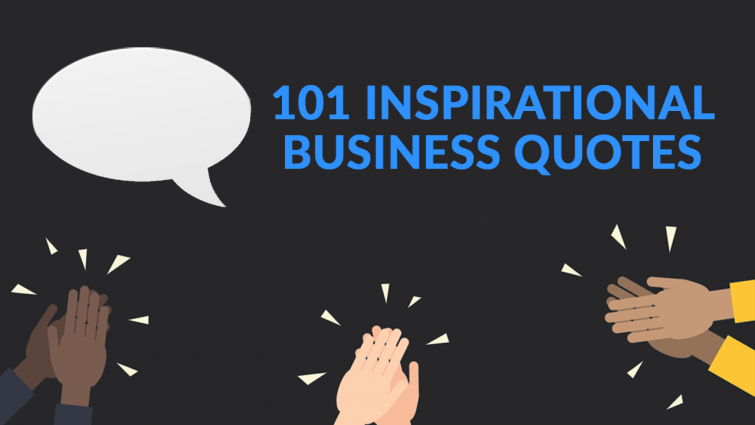 We’ve included 101 of the very best inspirational business quotes to give you that extra bit of motivation to achieve your dreams and work hard. Which is your favourite quote? – let us know in the comments! Wow, that was a lot of quotes! These inspirational business quotes should definitely help you and keep you inspired, working hard to achieve your goals!